Before start anything check your application provide User Experience or not. Are your customers coming to your app but clicking out after five seconds? Do they have to jump through hoops to simply complete a purchase? One of the most important factors in end customers using your application is the user experience. The more tedious, confusing or complicated it is, the less chance that your customers will return to your application. You need to ensure that your application provides the end user good user interface and user experience designs. For that, you need usability professionals from around the globe and we have them. We can provide you with international usability testing service which help you develop the best possible user experience. Our professionals determine the right participants for the process, run the tests and analyze the findings. We help make your application intuitive and simple to use. A poor and deprived user experience could ruin your application, drive your users away as well as harm the reputation of your company. Does your application meet the expectations of your users for workflows and layout? Testrig usability professionals will make sure your application hits the right and appropriate UX noted. What Can You Gain From Usability Testing? Allow Testrig usability testing professionals to take a look as well as make suggestions based on device class and business best practices. How Our Usability Testing Works? Tapping into our international community of expert testers to obtain precise and unbiased feedback is so simple. It doesn’t matter if you have a polished app or a wireframe, we will give you usability professionals to help you in your experience and assist you get the best user experience. After the consultation, your professional will determine right participants, plan a survey and provide you with a complete report showing the outcomes. You will have actionable outcomes in just a matter of days and could be on your way to further more intuitive, simple to use application which will love by your users. When running an efficient usability test, we make a solid test draft, recruit participants as well as analyze and report the findings. What You Get From Usability Testing? 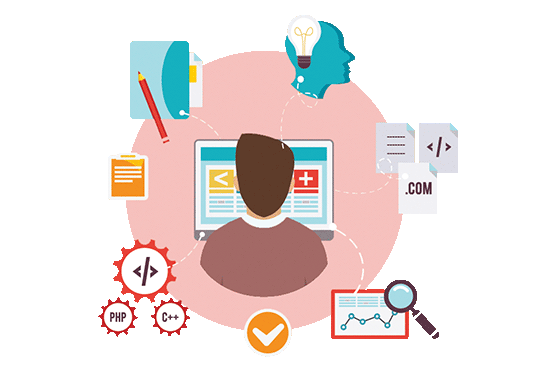 We combines many exerts testers with business proven professionals to let you scale the usability efforts easily and fast. Testrig usability testing is very reasonable. Discover how our usability testing services could suit into your needs and budget.